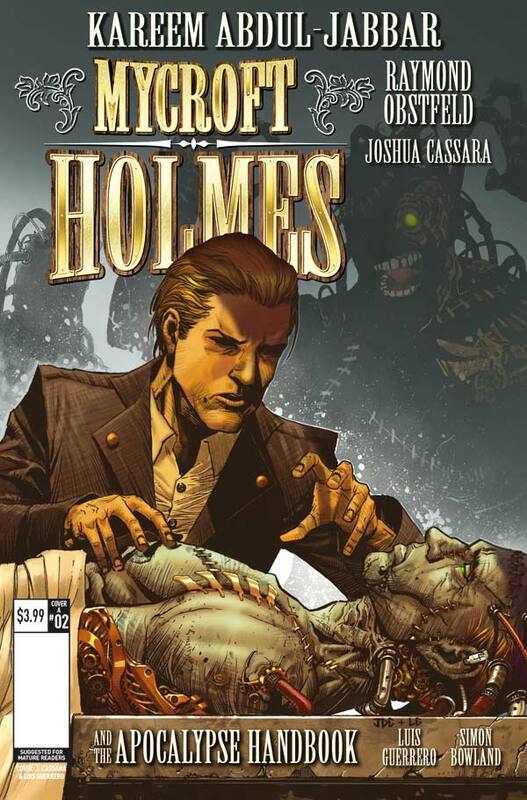 The Fellowship has obtained a first look at MYCROFT HOLMES #2 from Titan Comics. 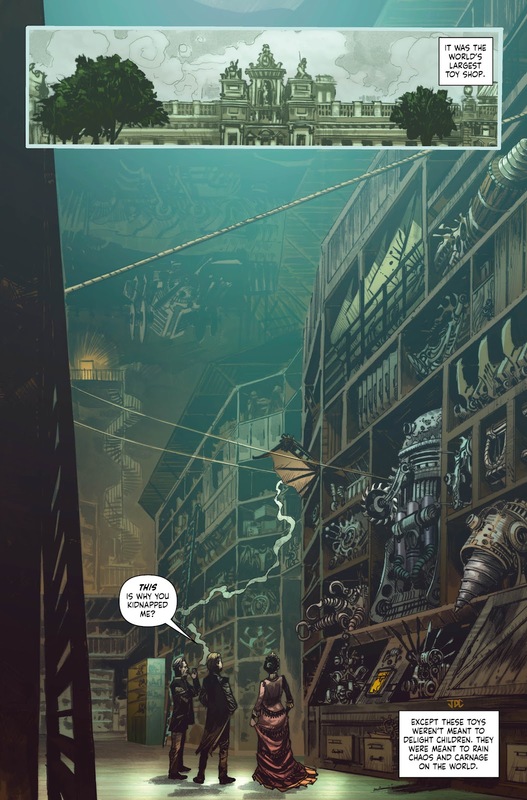 The issue, which hits stores September 14th, is written by Kareem Abdul-Jabbar & Raymond Obstfeld with art by Joshua Cassara, colors by Luis Guerrero and letters by Comicraft. The cover is by Joshua Cassara & Luis Guerrero, with variants by Claudia Ianniciello and Adrianna Florean. Mycroft Holmes: rake, adventurer, intellectual; deductive mind without peer! 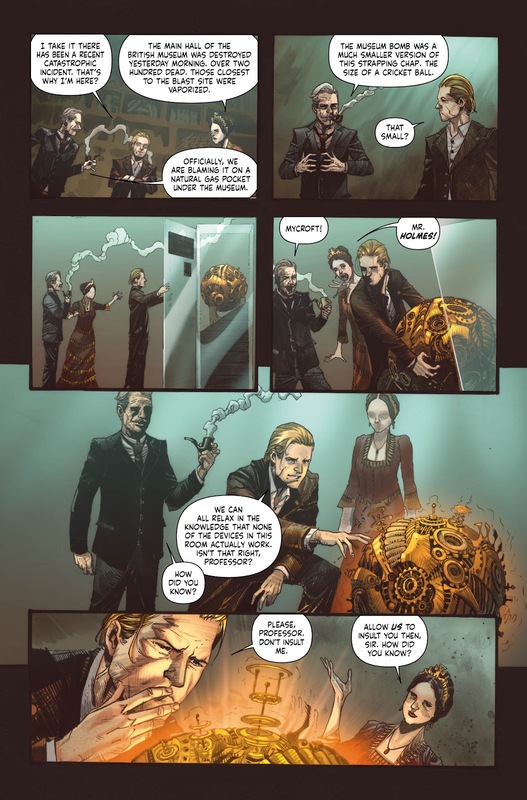 Thrust into the greatest quest of his young life, Mycroft is forced to battle a monstrous abombination in the bowels of Buckingham Palace, as a courtly conspiracy threatens the world with steampunk weapons of mass destruction! With only his wits to aid him, Mycroft is soon set on a globe-trotting mission to reclaim the plans for the weapons – before they fall into more nefarious hands!